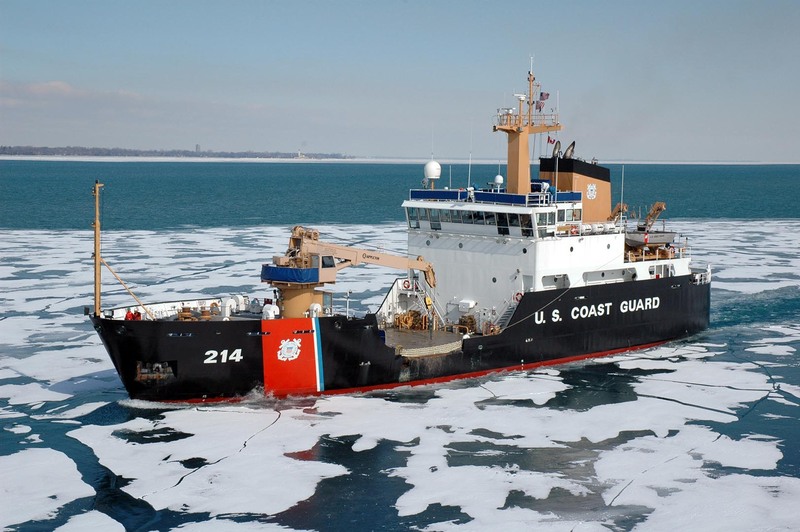 Breaking ice on Lake Erie, Feb. 22, 2008. 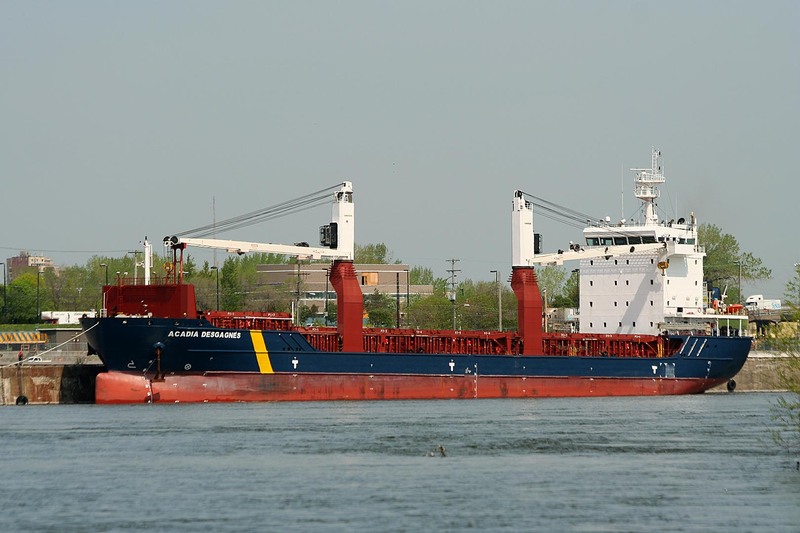 All information verified with "Know Your Ships"
and St. Lawrence Seaway, by Roger LeLievre. Capacity shown in Gross (long) tons, 1 ton = 2,240 lb. 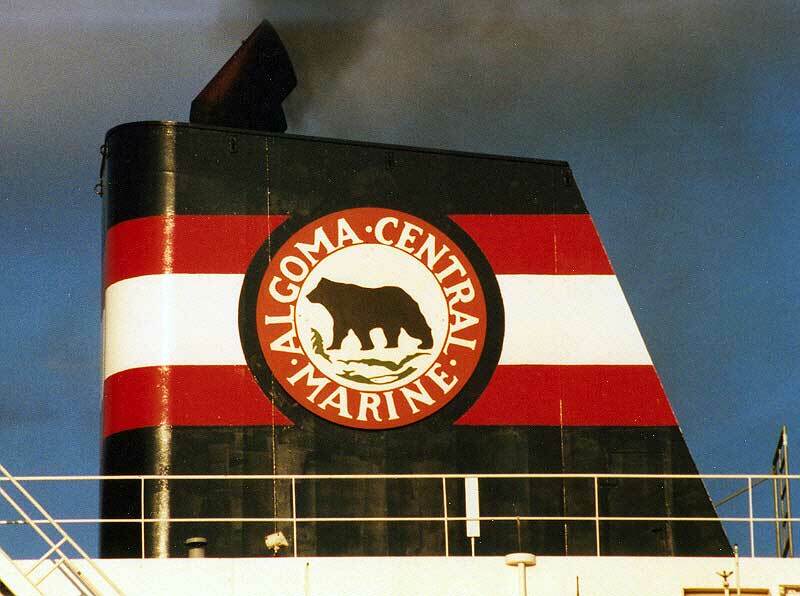 Division of Algoma Central Corp. 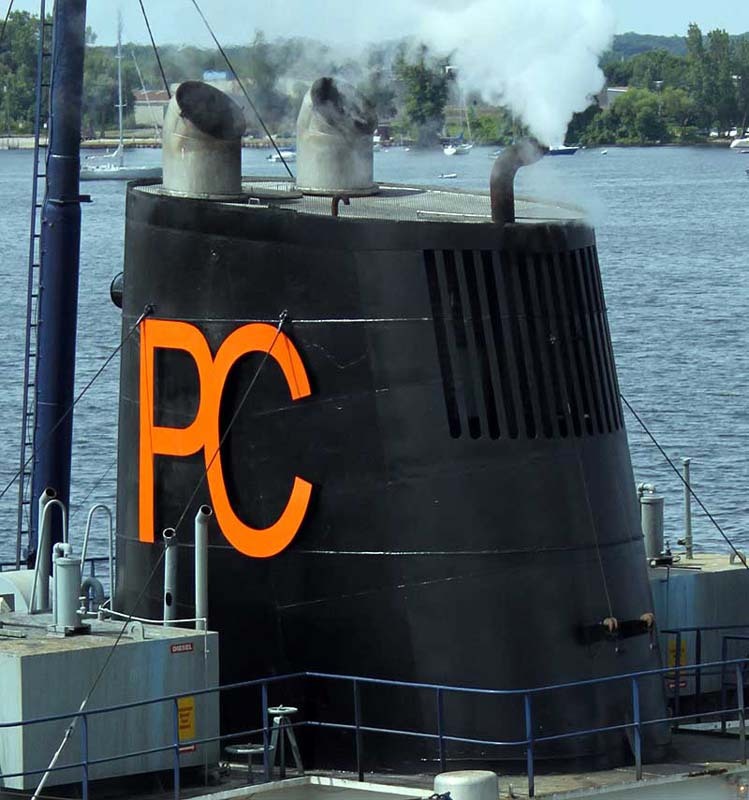 Operated by Algoma Central Corp.
Barbara Andrie (tug assigned to barge A-410) 122' 00" 29' 07" 16'00" 2,000 b.h.p. 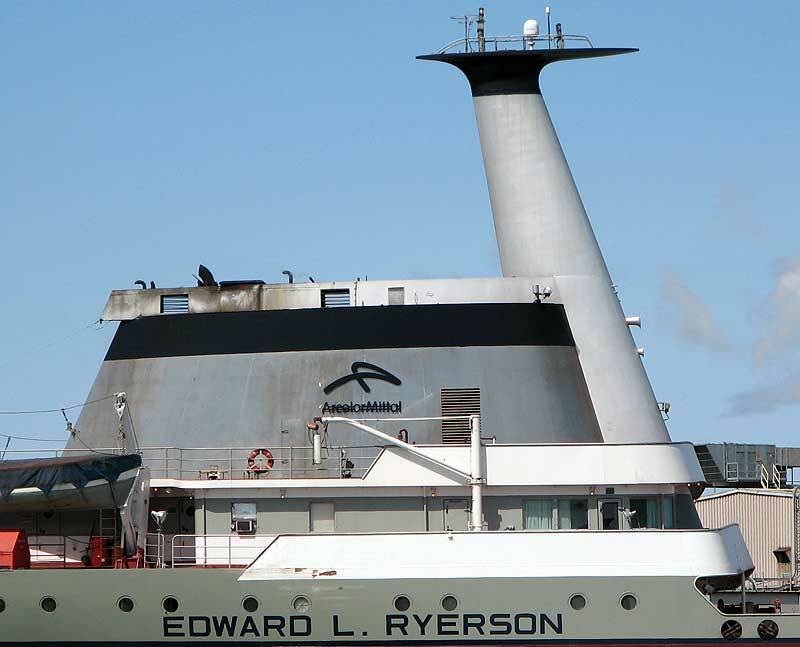 Karen Andrie (2) (tug assigned to barge Endeavour) 120' 00" 31' 06" 16' 00" 3,600 b.h.p. Rebecca Lynn (tug assigned to barge A-397) 112' 07" 31' 06" 16' 00" 3,600 b.h.p. 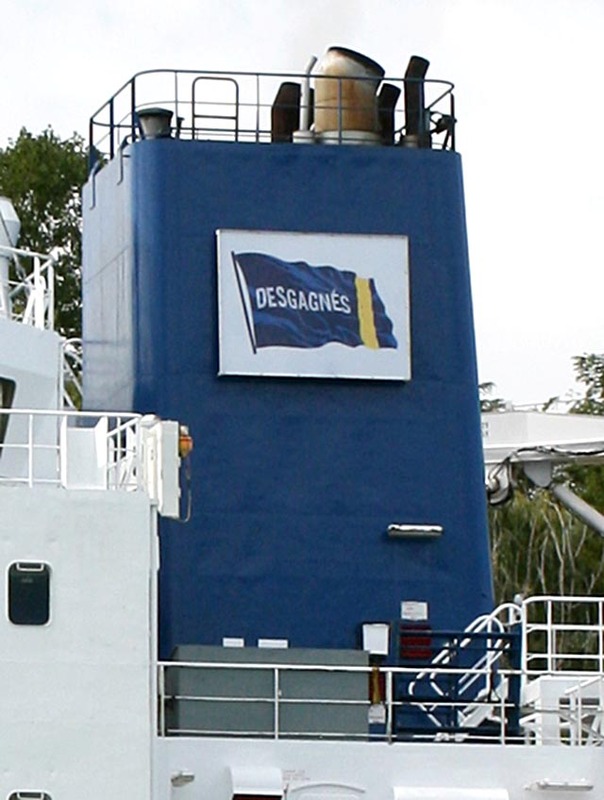 Presque Isle (integrated tug) 153' 03" 54' 00" 31' 03" 14,840 b.h.p. 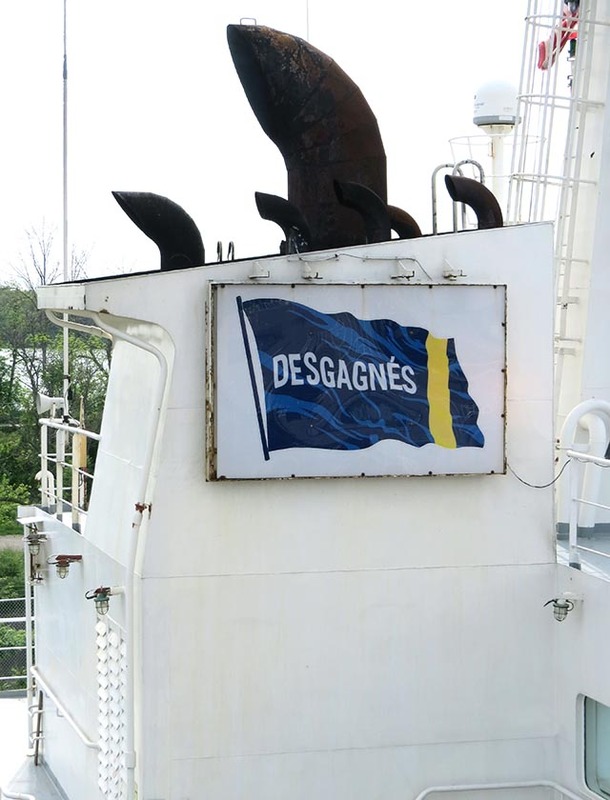 Operated by Transport Desgagn�s, Inc.
Subsidiary of Groupe Desgagn�s, Inc.
Dorothy Ann (articulated tug) 124' 03" 44' 00" 24' 00" 7,200 b.h.p. Viking I (barge) 360' 00" 56' 03" 21' 06"
Lafarge Holcim North America Inc.
G. L. Ostrander (articulated tug, mated to barge Integrity) 140' 02" 40' 01" 22' 03" 7,200 b.h.p. 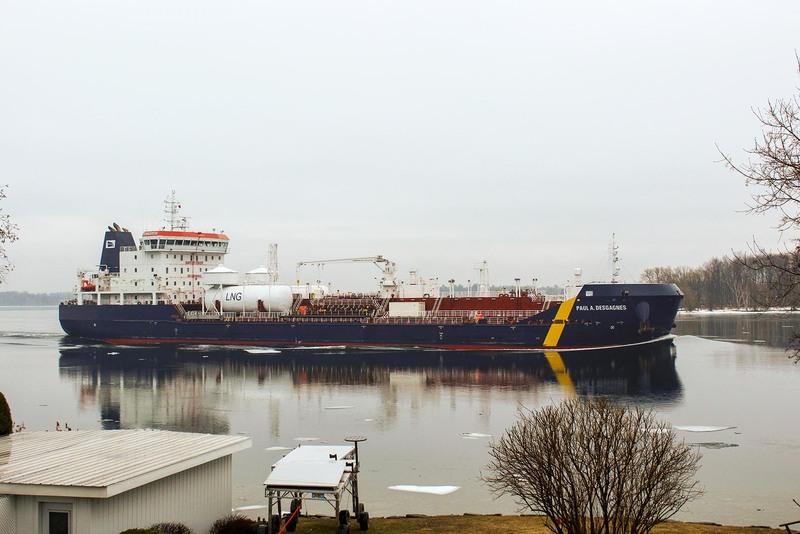 Samuel de Champlain (articulated tug, mated to barge Innovation) 140' 02" 40' 01" 22' 03" 7,200 b.h.p. 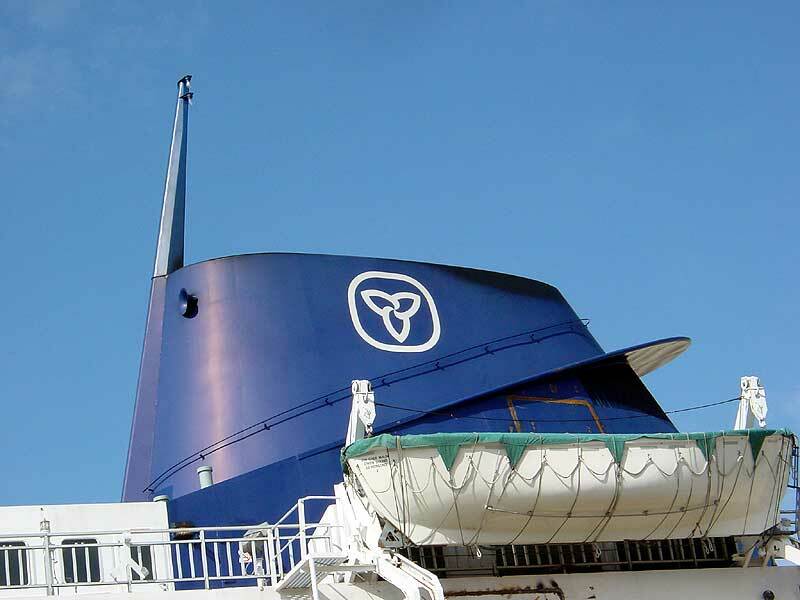 Lake Michigan Carferry Service Inc. Vessels Owned by Grand River Navigation Co. Both affiliates of Lower Lakes Towing Ltd.
Defiance (articulated tug, mated to barge Ashtabula) 145' 01" 44' 00" 21' 00" 7,200 b.h.p. 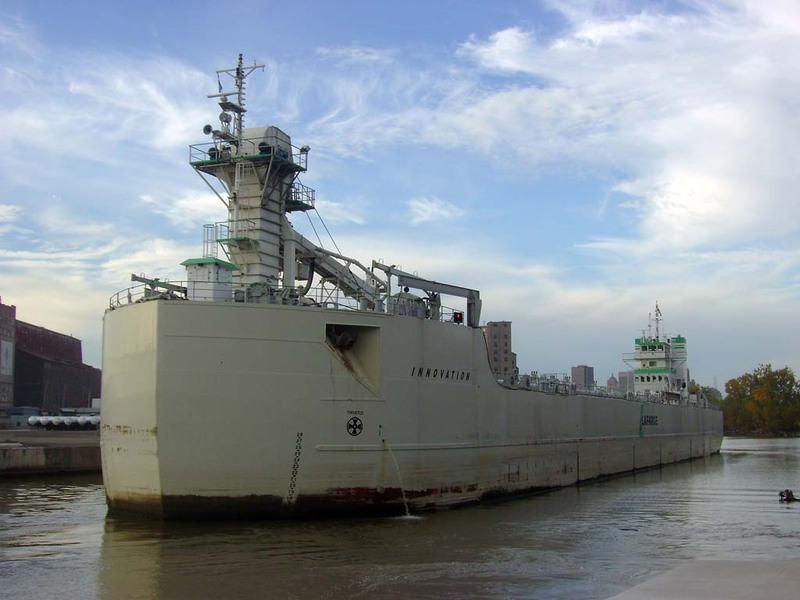 Invincible (articulated tug, mated to barge Menominee) 100' 00" 35' 00" 22' 06" 5,600 b.h.p. 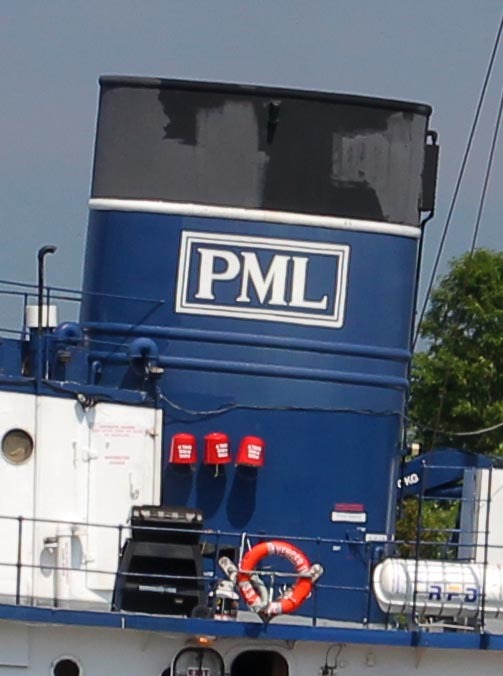 Olive L. Moore (articulated tug) 125' 00" 39' 02" 13' 09" 5,830 b.h.p. 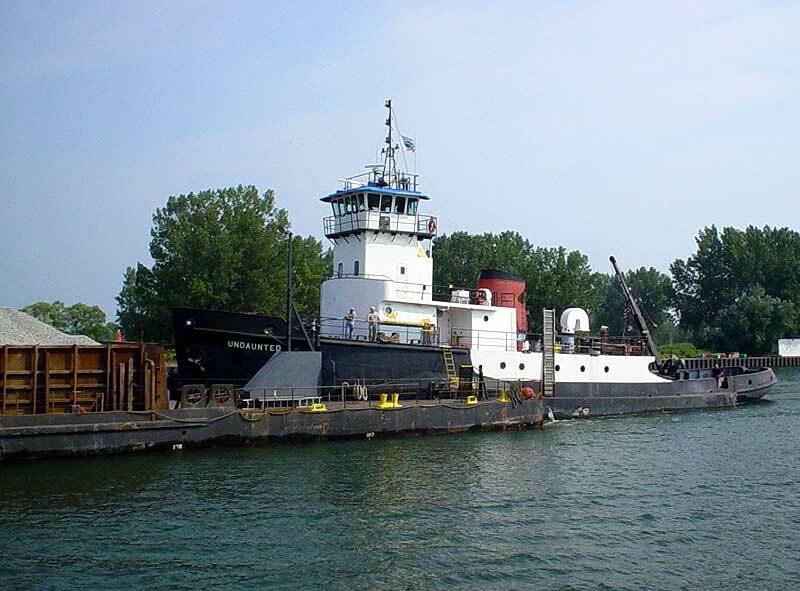 Victory (articulated tug, mated to barge Maumee) 140' 00" 43' 01" 18' 00" 7,880 b.h.p. 122' 00" 44' 03" 26' 02" 5,384 b.h.p. 143' 04" 44' 04" 21' 04" 6,000 b.h.p. Bonnie B III (tug) 107' 00" 32' 00" 18' 00" 3,200 b.h.p. 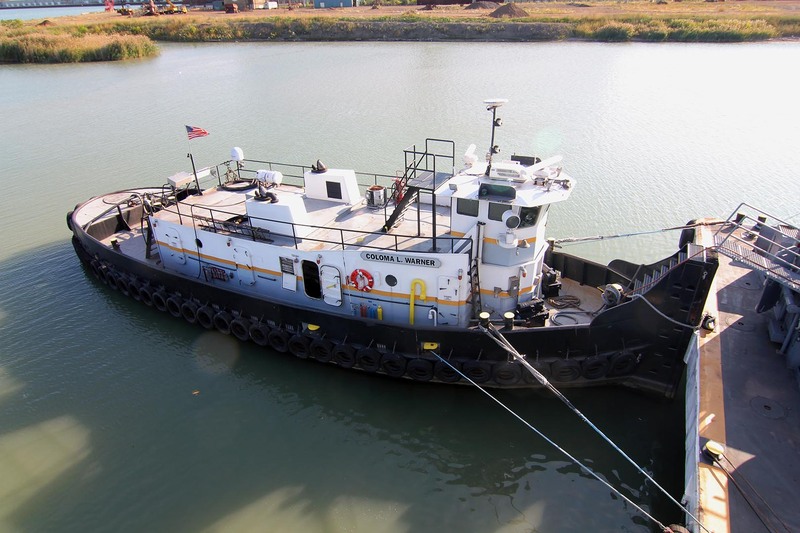 Carrol C I (tug) 107' 00" 32' 00" 18' 00" 3,200 b.h.p. Evans McKeil (tug) 110' 00" 25' 06" 14' 07" 2,150 b.h.p. 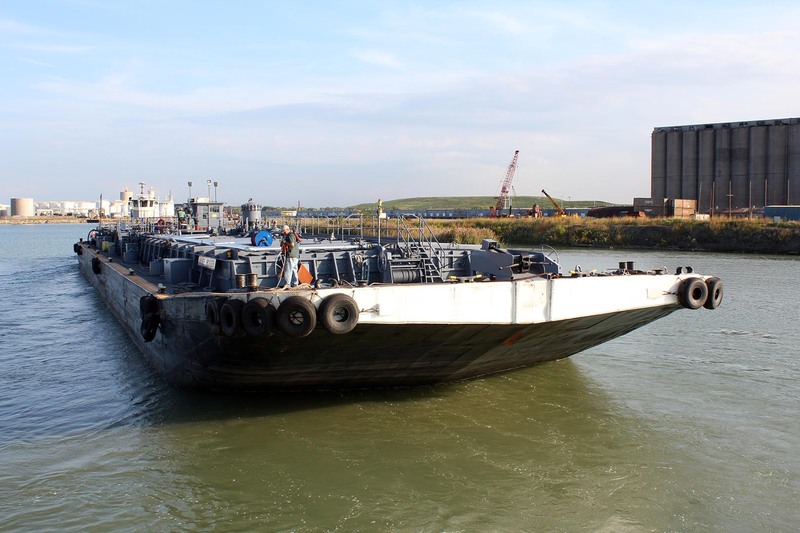 Florence M (tug) 96' 03" 29' 03" 9' 00" 1,450 b.h.p. Jarrett M (tug) 82' 00" 20' 00" 10 '00" 2,000 b.h.p. Jarrett McKeil (tug) 91' 08" 27' 04" 12' 06" 1,200 b.h.p. 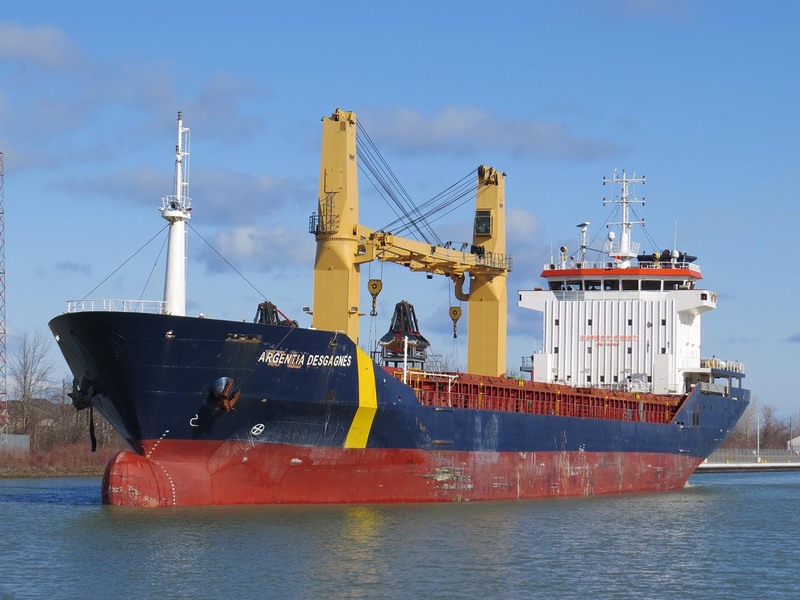 Salvor (tug) 120' 00" 31' 00" 18 06" 5,750 b.h.p. 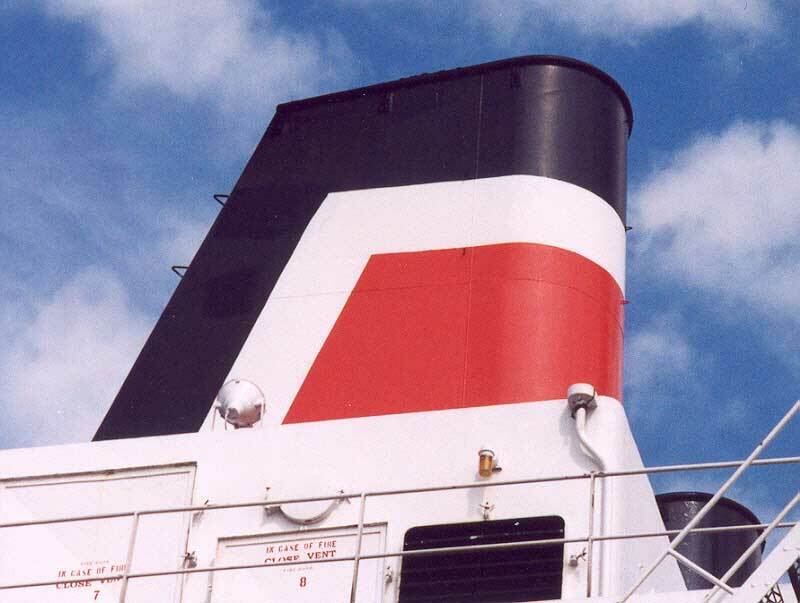 Stormont (tug) 80' 00" 20' 00" 8' 11" 1,100 b.h.p. Tony MacKay (tug) 127' 00" 30' 05" 14' 05" 2,800 b.h.p. Wyatt M (tug) 85' 00" 20' 00" 10' 00" 2,000 b.h.p. 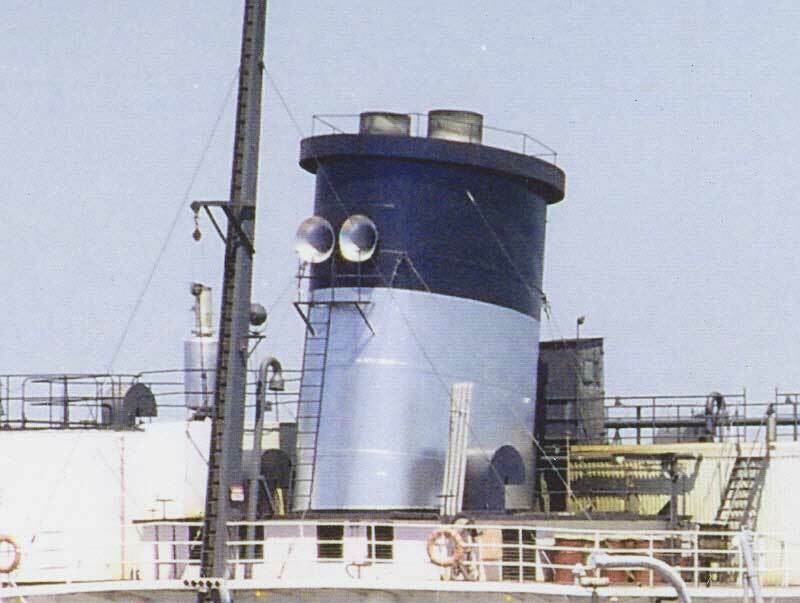 Wilf Seymour (tug) 122' 00" 31' 00" 17' 00" 5,750 b.h.p. 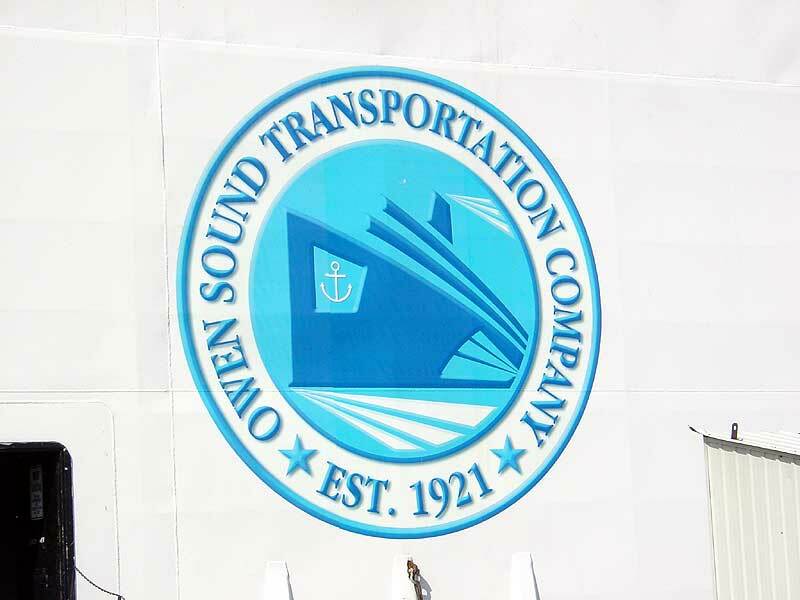 Owen Sound Transportation Co. Ltd. Operated by Owen Sound Transportation Co.
Undaunted (articulated tug) 143' 00" 38' 00" 18' 00" 2,400 b.h.p. Port City Marine Services Inc.
121' 06" 34' 06" 18' 02" 4,350 b.h.p. 123' 05" 31' 06" 19' 00" 4,300 b.h.p. 80' 03" 19' 03" 9' 10" 1,000 b.h.p. 132' 00" 31' 00" 14' 00" 3,480 b.h.p. 120' 00" 30' 00" 19' 00" 2,700 b.h.p. 47' 00" 16' 00" 7' 00" 600 b.h.p. 148' 03" 35' 07" 21' 07" 5,700 b.h.p. 73' 00" 16' 00" 7' 00" 600 b.h.p. 96' 00" 26' 00" 10' 00" 1,200 b.h.p. 72' 00" 19' 00" 12' 00" 680 b.h.p. 100' 00" 26' 00" 10' 00" 1,200 b.h.p. 102' 06" 28' 00" 15' 00" 1,670 b.h.p. 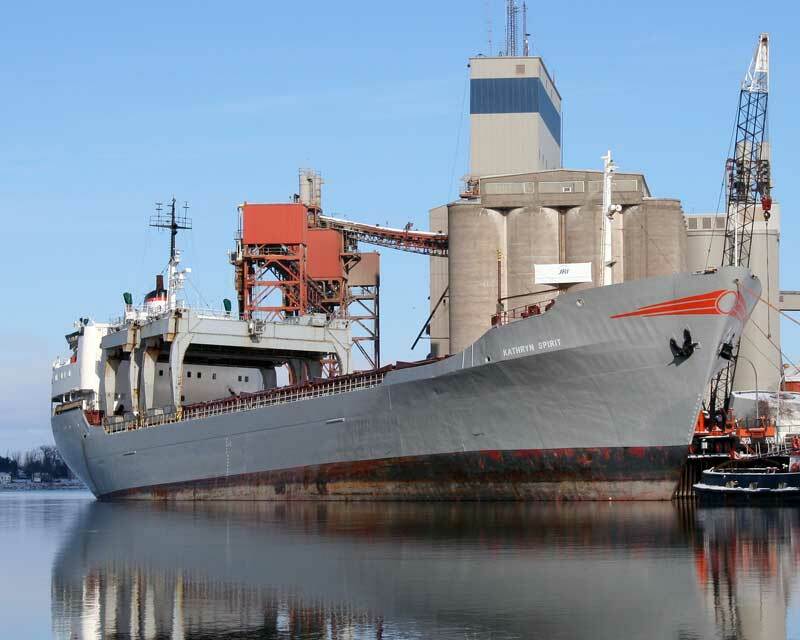 Petite Forte (articulated tug mated with barge St. Marys Cement) 127' 00" 32' 00" 14' 06" 5,000 b.h.p. Sea Eagle II (articulated tug mated with barge St. Marys Cement II) 132' 00" 35' 00" 19' 00" 7,000 b.h.p. 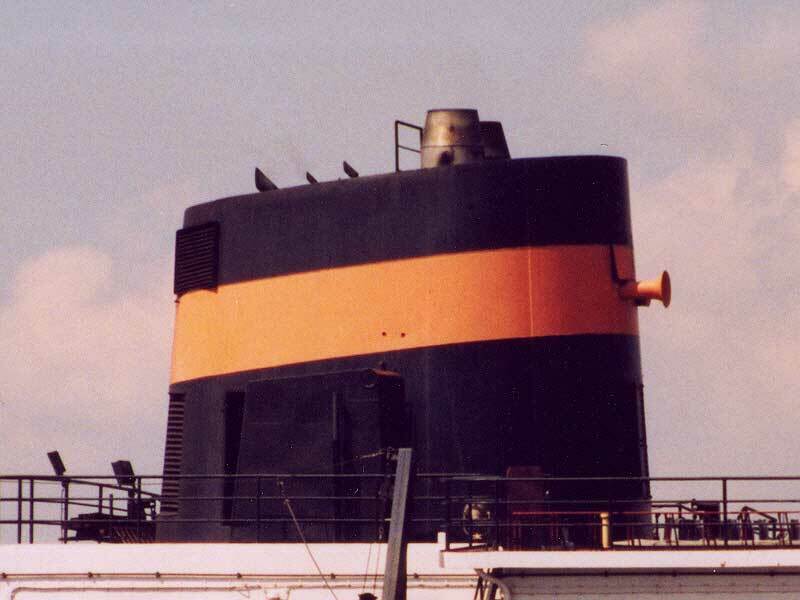 M. R. Kane (tug) 60' 06" 16' 05" 6' 07" 700 b.h.p. Radium Yellowknife (tug) 120' 00" 28' 00" 6' 06" 1,530 b.h.p. 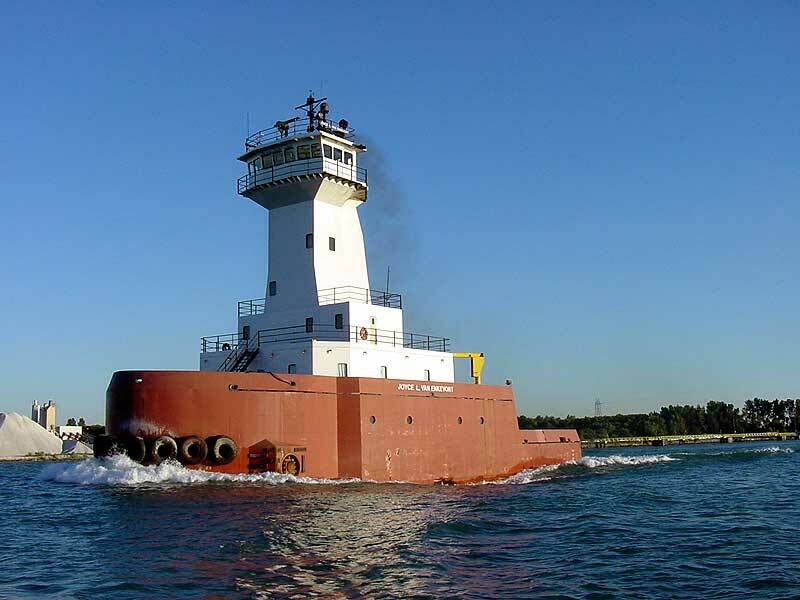 Michigan (articulated tug) 107' 08" 34' 00" 16' 00" 3,900 b.h.p. 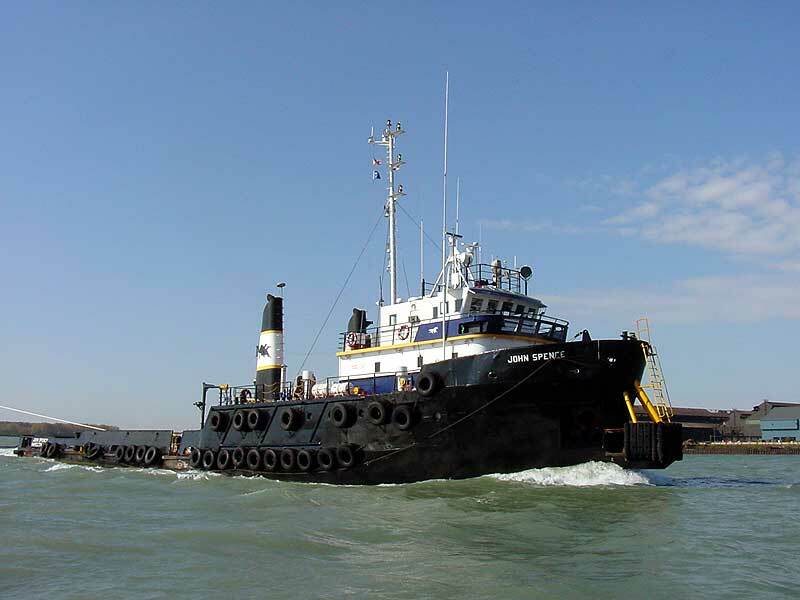 Van Enkevort Tug & Barge Inc.
135' 04" 50' 00" 26' 00" 10,876 b.h.p. 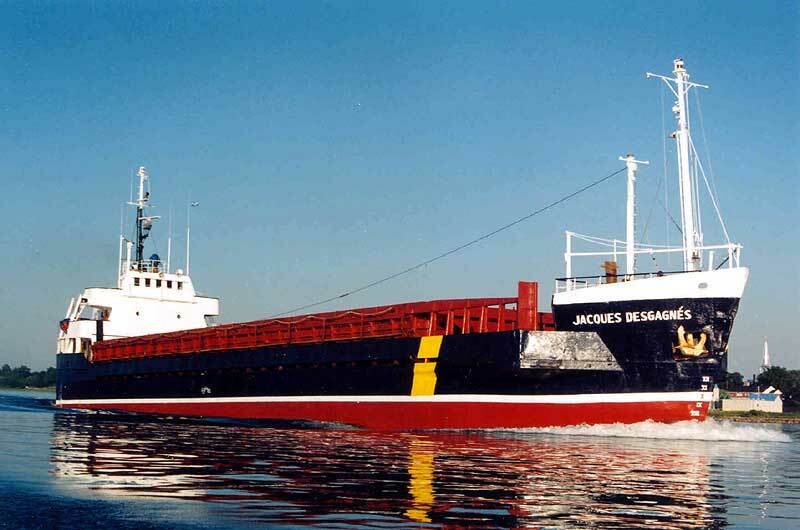 Joyce L. VanEnkevort (articulated tug mated with Great Lakes Trader) 135' 04" 50' 00" 26' 00" 10,200 b.h.p. 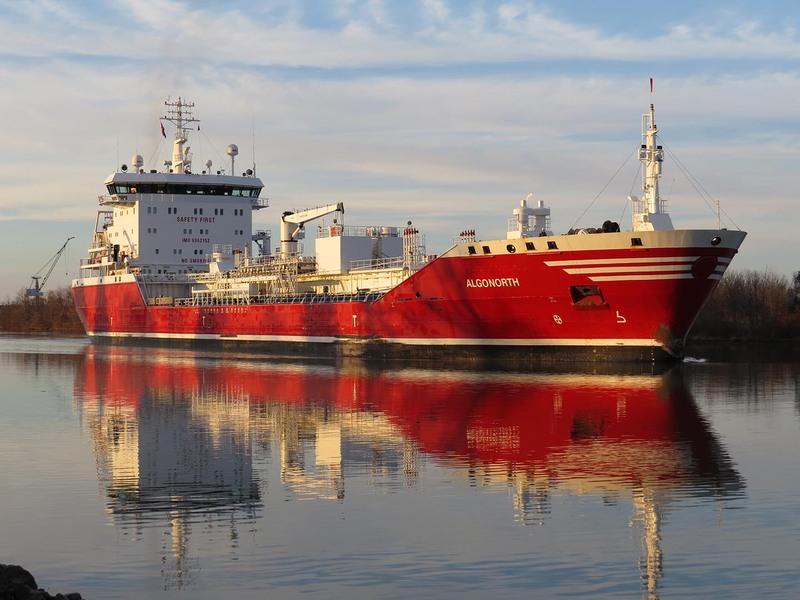 Joseph H. Thompson Jr. (articulated tug mated with Joseph H. Thompson) Updated 146' 06" 38' 00" 30' 00" 7,500 b.h.p. 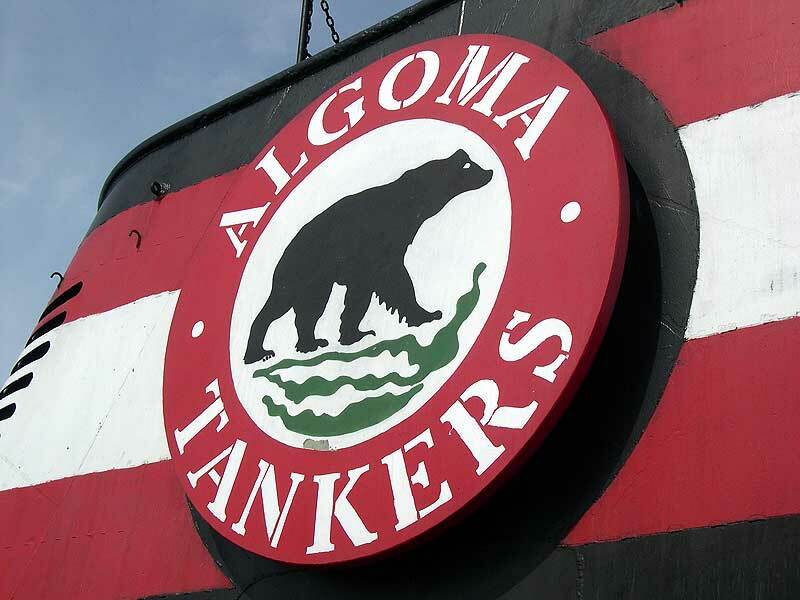 Coloma L. Warner (tug) 86' 00" 24' 00" 10' 00" 980 b.h.p. 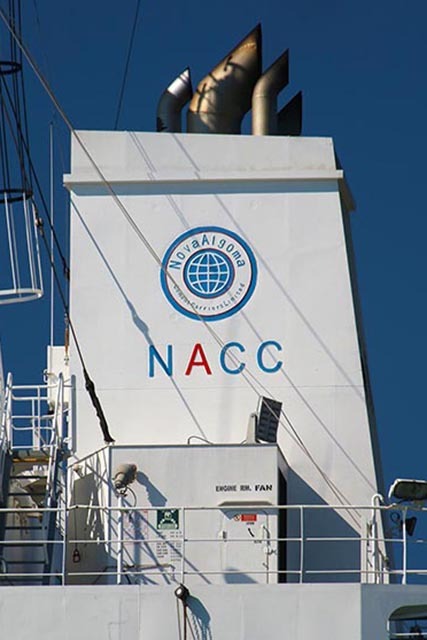 Note: This listing is only a summary of vessels formerly included in the above fleet listings since this page was started in the mid 1990's. Exceptions are possible but not intended. 150' 11" 42' 08" 21' 04" 8,000 b.h.p. 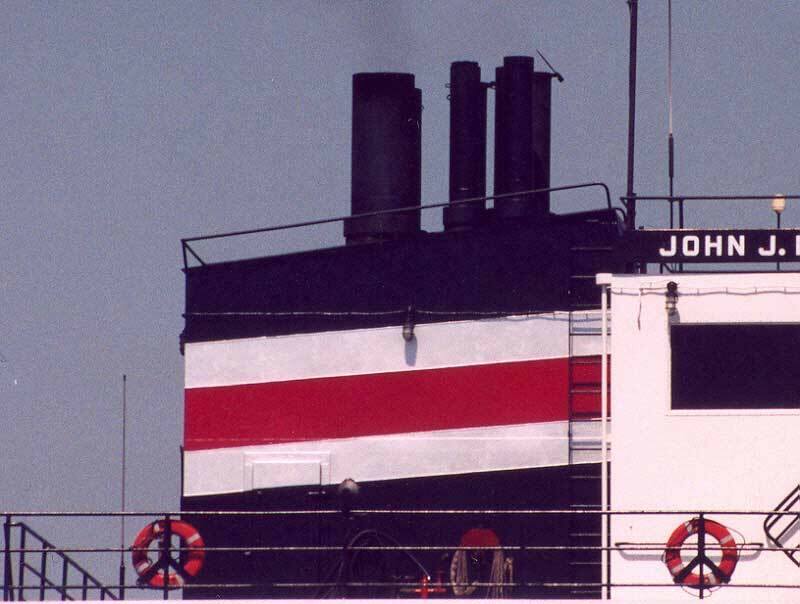 John Spence (tug) 171' 00" 38' 00" 15' 01" 3,280 b.h.p. 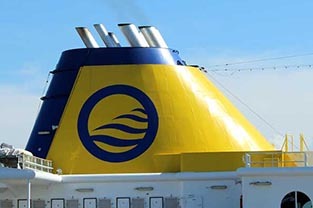 Article and photo credits appear on each vessel page. Note: This page is updated regularly. The data on this page and the tables in the history links are in the process of being updated and may not match. This is a temporary situation. Copyright © By Boatnerd.com. All Rights Reserved.